Three consortia (GLNG, QCLNG and APLNG) are developing infrastructure to produce coal seam gas in the Surat and Bowen basins in eastern Queensland for piping 435km to Curtis Island for conversion into LNG. Development of LNG processing facilities at Curtis Island has required construction of wharves, marine offloading facilities and jetties at both Gladstone and Curtis Island. The geotechnical conditions at Gladstone and Curtis Island comprise sequences of alluvial, colluvial and marines sediments underlain by variable sequences of mudstone, quartz greywacke and chert units. Bedding is often sub-vertical which promotes deep weathering profiles in localised areas. Intersecting chert bands are random, but are typically strong and difficult to penetrate. A key challenge in these ground conditions is to predict pile penetration. The ability to accurately predict driving conditions allows pile procurement and construction planning to be streamlined. This also allows design and construction risks associated with variable founding depths to be more clearly understood during in the planning phase. From 2010 to 2013, FSG have provided specialist geotechnical advice to some 12 individual LNG marine projects for various contractors in relation to both piling and retention systems. 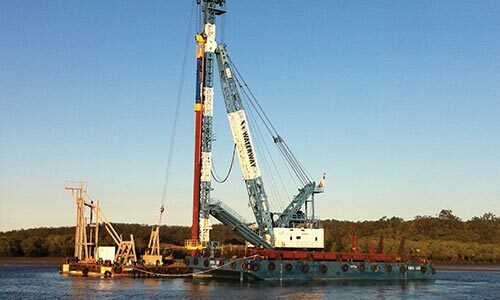 FSG have provided key specialist advice to a range of contractors and consultants in pile design and driveability, hammer selection, procurement length, construction and supply risks, ad hoc construction advice for many of the marine and land based structures that have been constructed. 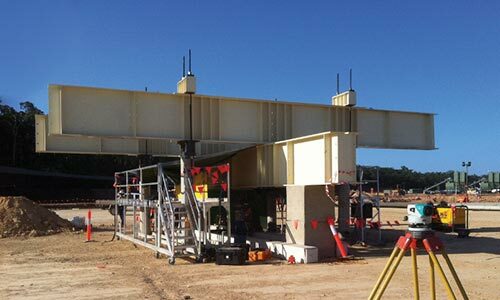 FSG has also carried out extensive dynamic and static pile testing in the Gladstone region which provides direct feedback in relation to pile performance and design correlations. Our extensive database of information provides FSG and its clients with an invaluable resource which is drawn upon in providing realistic and practical advice in relation to a broad range of pile construction, planning and procurement issues. FSG have played a key role in the successful delivery of the majority of LNG related infrastructure projects constructed in the Gladstone Port and Curtis Island regions.